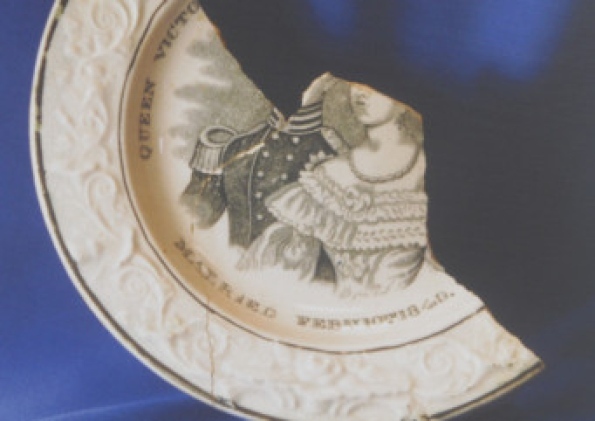 ROYAUME UNI – Northampton - A plate commemorating Queen Victoria’s wedding was among discoveries made by archaeologists at a site in Northampton town centre. Historians moved onto the St John’s car park site, near the Derngate theatre, to see what was underground before construction work began on The University of Northampton’s new halls of residence. ;As well as a number of animal bones and pieces of pottery, they found a plate with a picture of Queen Victoria painted on it, along with the words “Queen Victoria married February 10th 1840”. JORDANIE – Petra - In 1812, while travelling through Jordan disguised as an Arab, the Swiss-born explorer and scholar Johann Ludwig Burckhardt gave a guide the horseshoes as payment for leading him to an extraordinary ancient city that locals had talked about; the site was the ancient Nabataean city of Petra. The Antikenmuseum is celebrating the 200th anniversary of the rediscovery of Petra with a display of 150 ancient objects, including sculpture, reliefs, pottery, jewellery, and Burckhardt’s letters and documents (23 October-13 March 2013). Virtual reconstructions of a frescoed Nabatean villa and a grave complex will also be on show. 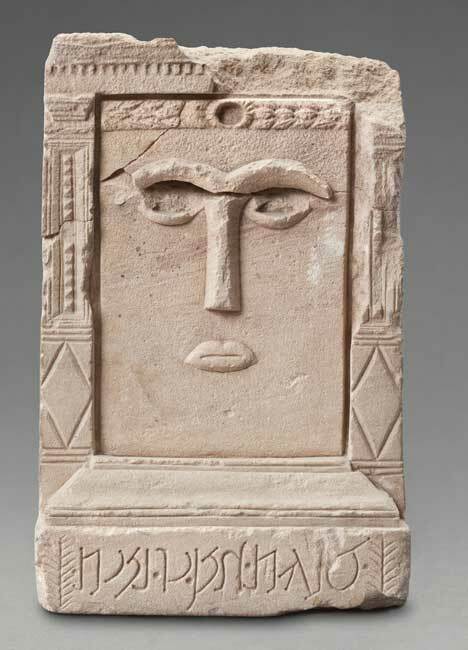 Most of the works are on loan from the Jordan Museum in Amman and the Petra Archaeological Museum. E.S. Categories: Archaeology & Ancient art. CANADA - Glenwood Erratic - Cardston RCMP looking into reports ancient Blackfoot etchings on a southern Alberta rock formation were intentionally destroyed say their investigation determined there was “no wilful damage” to the site. The case stemmed from media reports in which a local historian said it appeared a pressure washer, power tools and detergent were used to deface culturally significant pictograms and petroglyphs on the Glenwood Erratic, north of Glenwood, about 200 kilometres south of Calgary. IRAN - With the start of the new Iranian academic year, a raft of restrictions on courses open to female students has been introduced, raising questions about the rights of women to education in Iran - and the long-term impact such exclusions might have. More than 30 universities have introduced new rules banning female students from almost 80 different degree courses. These include a bewildering variety of subjects from engineering, nuclear physics and computer science, to English literature, archaeology and business. No official reason has been given for the move, but campaigners, including Nobel Prize winning lawyer Shirin Ebadi, allege it is part of a deliberate policy by the authorities to exclude women from education. TURQUIE - Milas - A number of historical artifacts have been discovered in a house in Milas once occupied by an archaeologist, after excavation work began on a parcel of land belonging to the Turkish General Directorate of Coal. 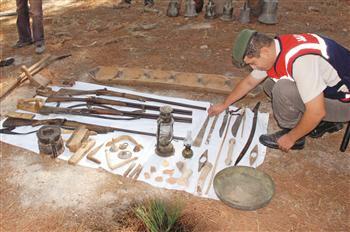 The local gendarmerie investigated the area and found many artifacts, and now the excavation work in the area continues under the management of the Milas Museum. The team discovered a number of small sculptures and a Quran manuscript in the home of the archaeologist. The archaeologist, H.E, had been using the house to store artifacts he found in his work between 2010 and 2011. The artifacts in the house were stored in boxes. The institution overseeing H.E.’s work ended his mission last year. 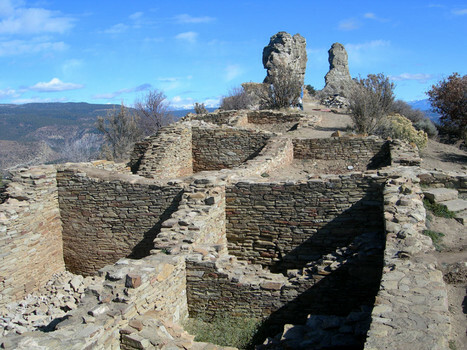 The archaeologist used to live in the village of Hüsamlar, Pınar village chief Ömer Kıvrak said, speaking to Anatolia news agency. “We gave H.E. this house to use for storage, because the house that he lived in previously was demolished. We wanted to help him. The things we have seen shock us,” Kıvrak said. The museum will also analyze the artifacts. USA – Brunswick - City Manager Bill Weeks will dust off his archaeological skills as he takes on the excavation of a Colonial-era cemetery recently discovered on the grounds of the old Glynn Middle School. Weeks found the first grave on Sept. 6 and called in local archaeologist Fred Cook, who had said that the cemetery existed on the site. Weeks and Cook found four more graves that day. “This was a Colonial cemetery from before Brunswick was laid out in 1771,” Cook said. “They came out here and picked out this place to bury people.” That was when Brunswick occupied a narrow band along the western side of what is now the city peninsula. The city later took in all of the peninsula, which included all the uplands east of the cem Cook estimated that the cemetery would contain 50 to 100 graves. Weeks said the cemetery likely was used from the mid-1700s until 1840, when Oak Grove Cemetery on Brunswick’s South End opened.